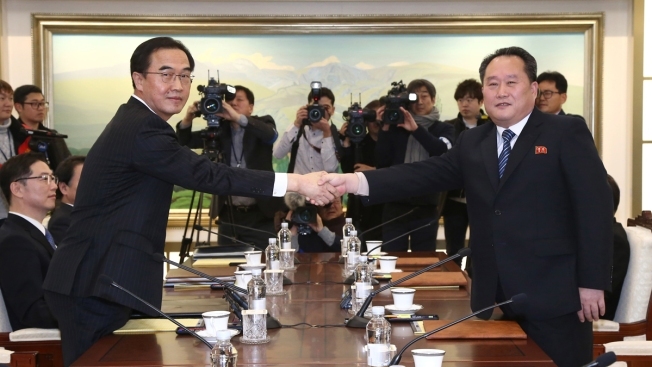 In this Tuesday, Jan. 9, 2018, file photo, South Korean Unification Minister Cho Myoung-gyon, left, poses with head of North Korean delegation Ri Son Gwon while shaking hands during their meeting at the Panmunjom in the Demilitarized Zone in Paju, South Korea. 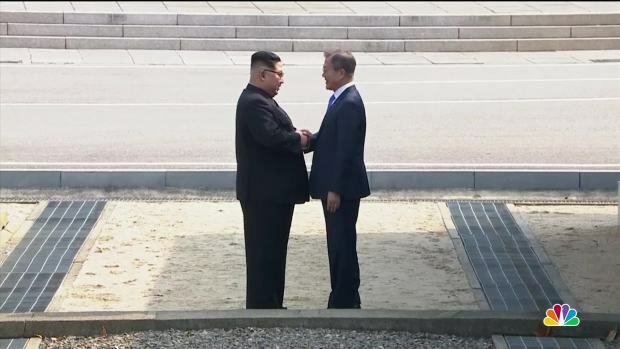 North and South Korea on Friday resumed senior-level peace talks. The on-again, off-again summit between the United States and North Korea is still up in the air, as North Korean diplomats met with new Secretary of State Mike Pompeo. President Donald Trump could not give a definitive answer when he stopped to speak with reporters Thursday morning, saying the summit may or may not happen.